Palestinian Authority chairman Mahmoud Abbas told visiting US Congressmen on Thursday he wants the security of a future PA state to be handed to NATO under US command, the Maan news agency reported Friday. 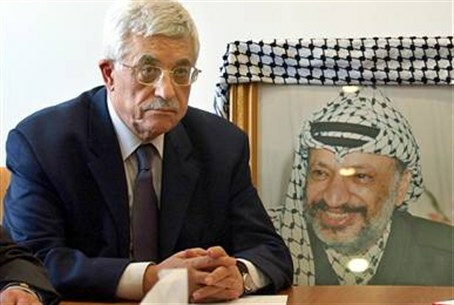 The PA state must also be "empty of settlements," Abbas said, according to official Palestinian Authority news agency WAFA. Members of the US Congress and Senate delegation, headed by Democrat Senator Steny Hoyer, met with Abbas in Ramallah on Thursday, and quizzed Abbas on Israel's designation as a Jewish state, the status of refugees, and reconciliation between Abbas' Fatah party and rival Hamas, Presidential adviser Nimir Hamad said. In September 2010, Abbas outlined his government's acceptance of international forces from NATO or similar to the UNIFIL force operating in southern Lebanon playing a role in PA security, as long as forces did not include one single Israeli, whether from the civilian population or the military. Abbas is currently pursuing a unilateral recognition of PA statehood based on pre-1967 lines at the United Nations in September.